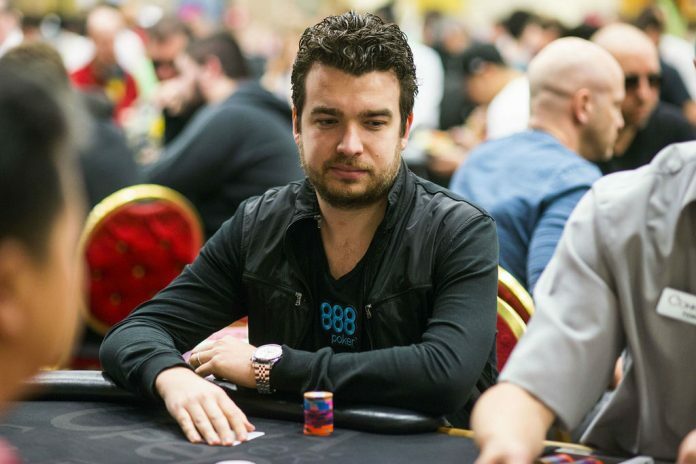 Chris Moorman broke his bracelet curse last summer and could be in the running for a big summer this year (WPT photo). Whether you’re packing your bags and heading to Las Vegas to play, or booking time off work so you can stay up late and stream final tables, the World Series of Poker – the most exciting time of the poker year – is fast approaching. But which PocketFivers should you be keeping your own eyes on this summer? Here we’ll be cherrypicking some players from the United Kingdom and Ireland that we think are going to have big results at the 2018 WSOP. We haven’t just picked Moorman due to his PocketFives fame (#1 on the Online Poker All-Time Earnings Leaderboard). We’re singling out the Brit because we think his first WSOP win last year will have lit a fire inside him. He’s also been busy on the online felt, winning both the 888poker Sunday Mega Deep and a partypoker Powerfest event for a combined $50K over the past few months, taking his total online winnings up to an unrivaled $14,878,400. Expect to see Moorman reach multiple final tables this year, accompanied by a rowdy rail. From the most successful British/worldwide player of all time, to the United Kingdom’s current #1 player. Beresford has proved himself as one of the best online players going, racking up $6.36 million in cashes at the time of writing. That quest for cash has also seen Beresford frequent the live felt, most recently at EPT Monte Carlo where he was seen battling in the €25K High Roller. And while he’s yet to win a breakout title live despite $510K in winnings, we think this will be Beresford’s year. Not only is Scotland’s Geilich a great NLHE tournament player, but he excels in PLO too. Geilich was victorious in the WCOOP $21K PLO High Roller in 2016 ($462K), and later that year he came close to WSOP gold when he finished 7th in the $25K PLO High Roller ($110,035). Geilich’s been pretty busy since then. In April 2018, he took down the €1K Open at the partypoker MILLIONS Grand Final Barcelona for €250K, while at the PokerStars Championship Prague in December 2017 Geilich booked back-to-back runner-up finishes in side events for a combined $320K. With his good friend Niall Farrell winning his first WSOP bracelet last year, 2018 could be Geilich’s turn. He may only have $90K in live winnings to date, but the UK’s Proudfoot has been putting in a serious grind online in recent years. He’s amassed $1.62 million in winnings, and almost took down a SCOOP event earlier this month, ultimately finishing second in the $530 6-max PKO for $39K plus $12K bounties (interestingly, Beresford finished third). We think this is the year that Proudfoot announces himself in the live world with some healthy WSOP results. For our Ireland pick, we’ve gone with Killeen. He’s got several big live results under his belt (most notably a UKIPT win, Irish Open second-place, and EPT Main Event third-place finish), and overall boasts $877K in winnings. Killeen ultimately finished seventh in the SCOOP-28-H $530 NLHE for $6,490. If five UK and Ireland players aren’t enough for you, we also predict big years for Stephen ‘stevie444’ Chidwick, Marc ‘sluglife’ MacDonnell, Sam ‘TheSquid’ Grafton, Toby ‘810ofclubs’ Lewis, and Benny ‘RunGodLike’ Glaser.